Billing - Knowledgebase - ODITech, Inc. 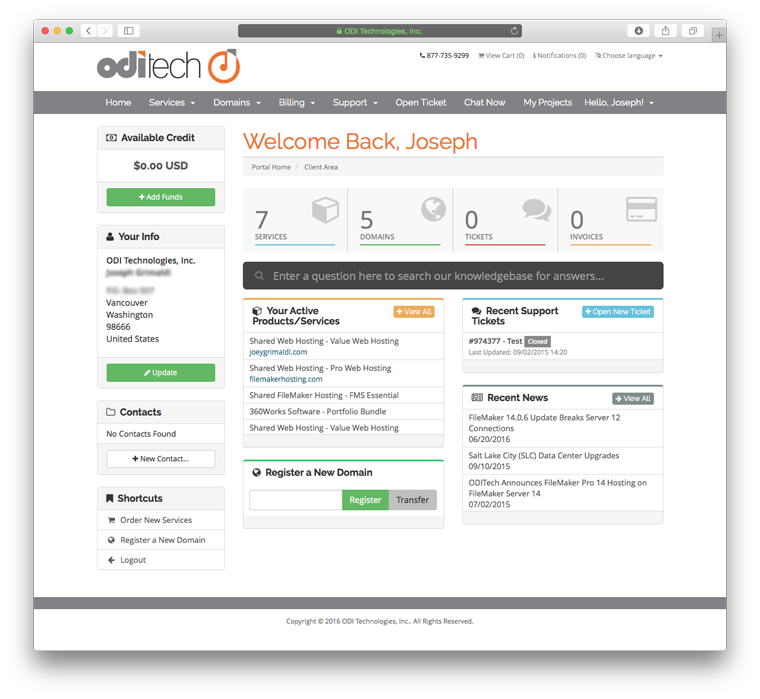 The ODI customer control panel contains a wealth of information about your account and services as well as ways to learn more about your hosting services, enter support tickets or send questions to billing. You can change services, update payment information, review past invoices--you can even see a complete list of past emails and read the contents of each. Before you can look at any of your information you must first Log On. Under "Manage Your Account" click the "Secure Client Login" button. 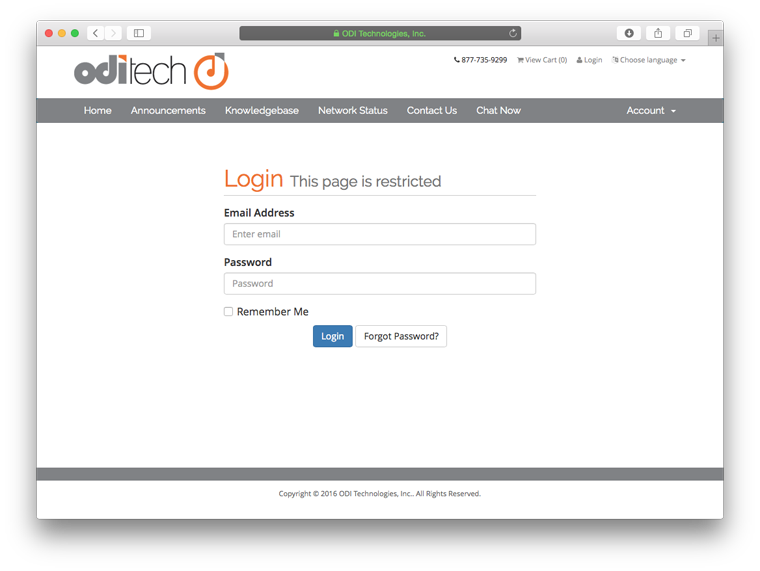 Enter your email address and password that you used to sign up with us. You are now presented with an overview of your account with many options to choose from including opening a support ticket to updating your details. 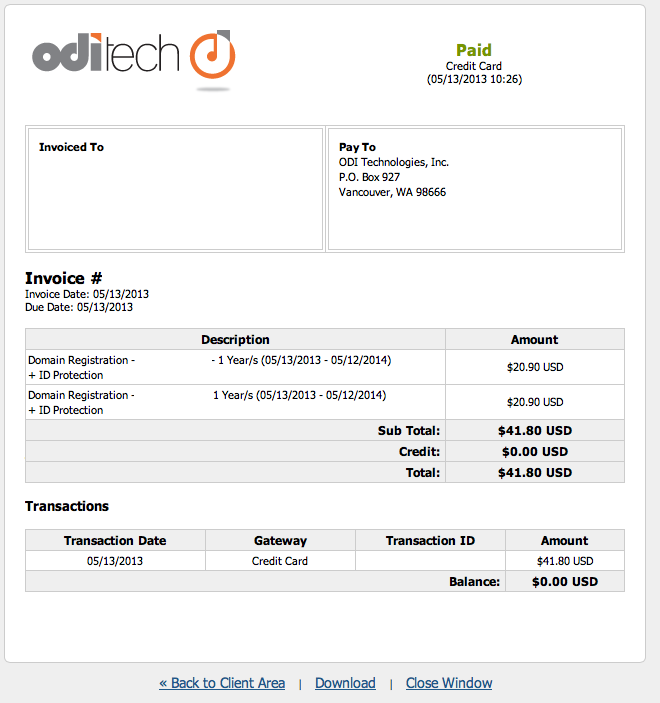 The 'My Invoices' page shows you information about all the invoices which have been generated on your account. You can view more detail about the invoice either by clicking on the invoice number, or by clicking on "View Details"
Invoice detail shows you an exact copy of the generated invoice. My quotes provides you with information about all the quotes ODI has prepared for you regarding Filemaker development, web development or other ODI services. You can select multiple invoices and pay with the credit card on flie. 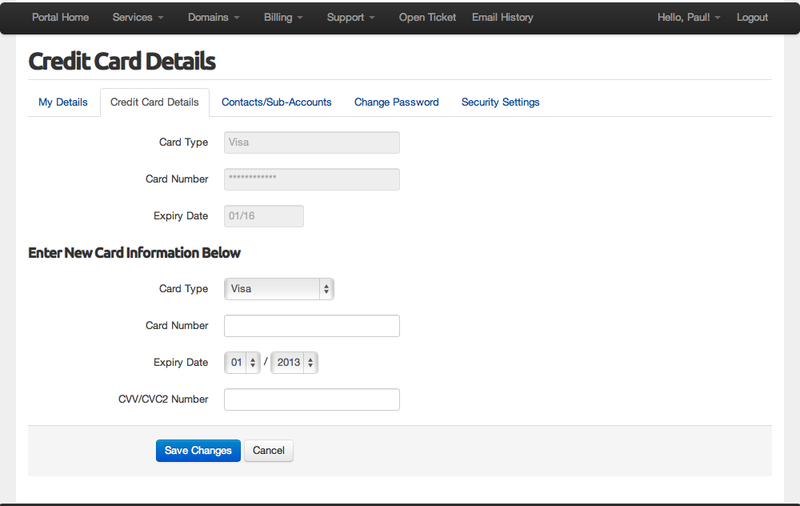 You can view and edit credit card information on your account.